Audrey´s fans may know her history, but for all of you who don’t, here is it. (Quite short). 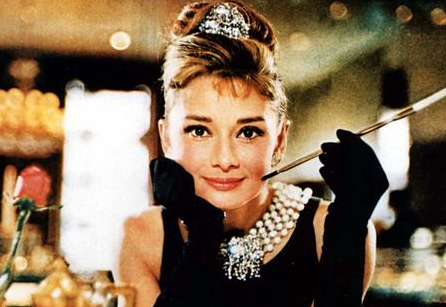 Born on May 4,1929, in Brussels, Belgium, Audrey was a talented performer known for her beauty, elegance and grace. While she was living in the Netherlands the Nazis occupied this country and let people starve. Audrey used to practice ballet so she danced secretly to a group of people in order to collect money to the Dutch resistance. She also delivered messages which she hid in her ballet shoes. During her wartime struggles she suffered from malnutrition and developed respiratory problems and anemia. Her uncle was executed and her brother sent to a German labour camp. After the war she went to London to keep studying ballet, she participated in some musicals and one uncredited film. At the age of 22 she moved to NYC to star in the Broadway production of GIGI. Only a few weeks later after the premier Hollywood called her and two years later she was filming Roman Holiday which gave her an Oscar….The rest is history. But you have to know that because of her past she became an UNICEF Goodwill Ambassador. 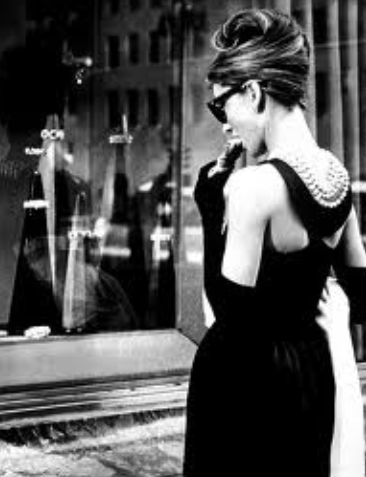 Audrey Hepburn also remains one of the few persons who have won an Academy, Emmy, Grammy and Tony Awards. 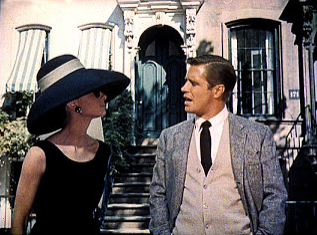 So returning to Fashion…Hepburn set new high fashion standards in Breakfast at Tiffany´s where she played a seemingly lighthearted, but ultimately troubled New York City part girl who gets involved with a struggling writer played by George Peppard. Hepburn received her fourth Academy Award nomination for this film. 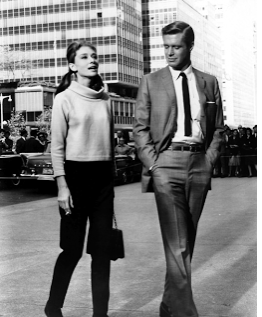 Holly Golightly is a timeless character who shows us that even with a very small wardrobe women can look chic and stylish…ALWAYS! even with a towel! No more of the “I don´t have anything to wear” phrase. 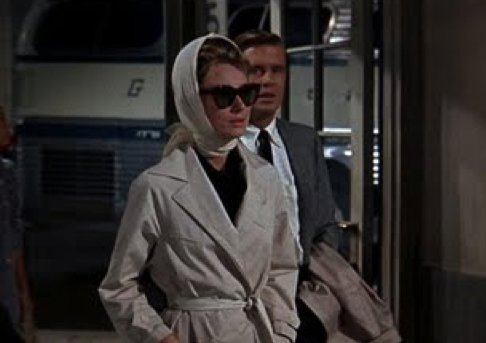 With a “little black dress”, a Trench Coat, pearls, earrings, heels , scarves and hats, Holly proves that the magic of any outfit relays on its accessories. 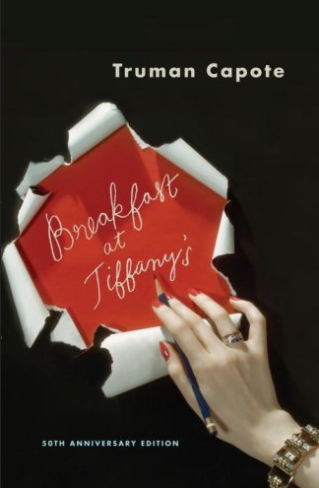 This dress designed by none other than Hubert de Givenchy is still inspiration for millions of fashionistas all around the world.Simple and chic the dress was accessorized by stunning pearls in the memorable beginning of Breakfast at Tiffany´s! 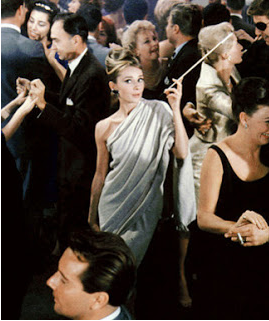 Audrey Hepburn´s beautiful simplicity still lives on as a timeless example of a fashion icon. And why? 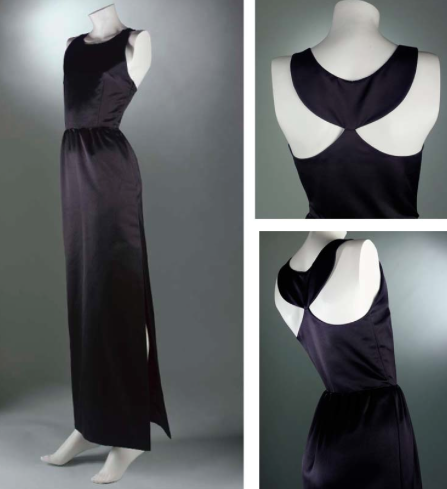 Because she understood her body and used clothes that accentuated it; mens shirt and little black dresses did her a favour. So there is the trick! Know your body, LOVE your body and use what suits it best! This is it my beloved readers! 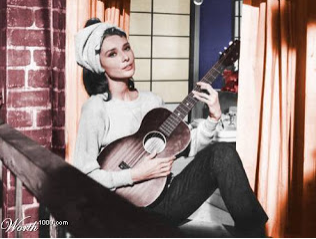 I´ll leave you with a song I love, sang by Audrey!